Entertainment writer, 1975-76; Revue editor, 1976-1977. Juris Doctorate in law, 1978. For the 28 years, Paulson has drawn on his background as a journalist and lawyer to lead newsrooms in five different states and champion the First Amendment. Since 2004, Paulson has been editor of the nation’s largest-selling newspaper, USA Today. Paulson’s professional career began at the Fort Myers (Fla.) News-Press where he was a reporter and bureau chief from 1978-80. From 1980-84, Paulson was metro editor and then managing editor of the Courier-News at Bridgewater, N.J. During that time he was a founding staff member of USA Today, on loan from the Courier-News. He was editor of the Green Bay (Wis.) Press-Gazette from 1985-86. Paulson was special assistant/chief of staff to Gannett Chairman Al Neuharth from 1986-88. He was executive editor of Florida Today from 1988-92 and served as executive editor of Gannett Suburban Newspapers (now The Journal-News) in Westchester County, N.Y., from 1992-96. 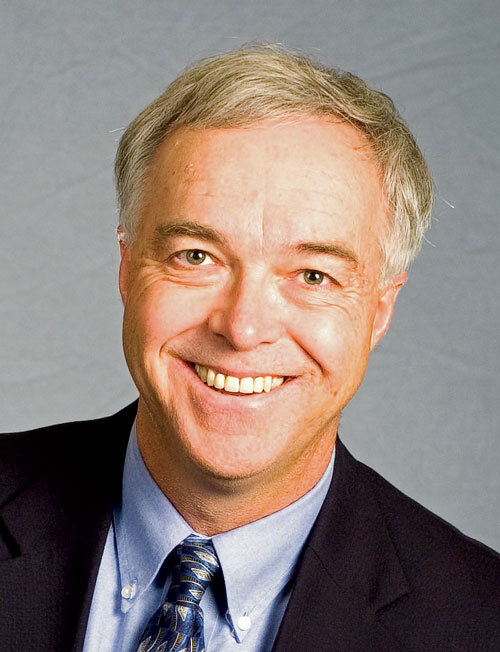 Then as executive director of the prestigious First Amendment Center at Vanderbilt University, Paulson promoted greater understanding of the First Amendment with his syndicated column, Inside the First Amendment, and as the host of the Emmy-nominated Speaking Freely, a weekly half-hour television program about the First Amendment and the arts. He is also the author of Freedom Sings, a multimedia stage show celebrating the First Amendment that continues to tour the nation’s campuses. When he took over at USA Today, he became the newspaper’s sixth editor. Paulson was an early advocate of making newspaper content available online, launching online newspapers in Florida and New York in 1993. He is a board member of the American Society of Newspaper Editors and served as an adjunct professor at Vanderbilt University Law School. He is a member of both the Illinois and Florida bars. This bio was written at the time of Ken Paulson’s inauguration into the 2006 Illini Media Hall of Fame.